Professor Dr. Yongyuth Yuthavong is a former Deputy Prime Minister and former Minister of Science and Technology, Thailand and an outstanding Thai scientist with a particular interest in the broad issues of public policies, especially those concerning the application of science and technology for development – as well as human development in general. 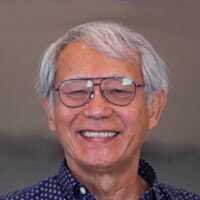 Dr. Yongyuth spent a long career at Mahidol University, conducting research and teaching. He was appointed Professor of Biochemistry in 1983 and was honored with the “Outstanding Scientist of Thailand” Award in 1984, from the Foundation for the Promotion of Science and Technology. During the same period, he was chosen as the Director of the National Centre for Genetic Engineering and Biotechnology (BIOTEC) from 1985 until 1989. What is the more human side of science like? How is it linked with the human spirit? And what is the role this connection plays in the growth of an entire country? Professor Yongyuth Yuthavong draws a detailed and thoughtful map on how science inspired him to grow from an avid biochemistry student, to a determined researcher in the fight against Malaria in Thailand, to the country’s very own Deputy Prime Minister. As a pioneer and an investigator at heart, Yuthavong played an important role in the creation of Thailand’s National Science and Technology Development Agency, focusing his research in the interactions of Malaria and the creation of antimalarial drugs. As a politician and as a professor, he puts sustainable, long-term development at the forefront of his discourse, and continues to dream of a brighter future in which the younger generation gets the chance to learn, experience and contribute to society, within and outside the scientific sphere. With a life devoted to science, which brightest aspects can be found in his book Sparks of the Spirit, professor Yuthavong remains a shining light in the world of research and politics, reminding us that true passion touches not only ourselves, but those around us. Prof. Yongyuth Yuthavong: My name is Yongyuth Yuthawong and I am a scientist, and I’ve been working in science almost all my life. Sometimes, I’m induced to do other things, such as policy, administration and even politics. Nerina Finetto: Thank you so much for joining me. Science, policy making and politics; how are they related to each other? Yongyuth: It may due to my nature, but I think everyone is the same, in that I have both a narrow and a broad interest. The narrow interest took me to science – I studied chemistry -, but then the broad interest took me to all sorts of things. I like to talk with people on policy of countries, on international politics and so on. When I was applying for a place in the university, I applied for a place in chemistry, and after the interview I was furious because the interviewer said ‘You are more suited to study general science’. So I thought ‘General science?! I want to be a chemist!’. So that is how it always is with me. I tried to do work and I stayed true to my profession as a biochemist on my working life, but now and then I’m induced to various things outside of it, but always concerning science. Nerina: Tell me more about your work as a scientist. Yongyuth: I would like to say I’m quite successful in my intended career. I did work first of all in just basic biochemistry; enzymes and various membranes, biomenbranes, but I found that there was very little support in Thailand for basic science, so I needed to do something which uses basic science to solve the problems of my country, and at that time, Malaria was a very big problem, so I thought that maybe we should start to study the biochemistry of Malaria, so I’ve been doing that for more than forty years. It’s a bit long, until now Malaria is no longer a big threat in Thailand, but it’s still a big threat in the world. Many people, many hundreds of thousands still die from Malaria each year, so I think my job is not done, but that is the narrow path which took me to being recognized by being given the Outstanding Scientist of Thailand Award; I was given the Nikkei award from Japan for science, technology and innovation, and I was recognized for various things. Right now, I’m now involved in developing antimalarial drugs, which has now gone into clinical trial, so it’s something that I’m very proud of. I think if the first synthetic drug from Thailand that has gone on to human clinical trials. That’s the narrow path. Nerina: And how did you find the broader path? Yongyuth: That probably stemmed from my interest in the broad areas of science and how we could develop science in my country. I think more than forty years ago, there was some friend of mine, I physicist from Oregon, who was a n expert in science policy. He was coming to Thailand, and he asked if some people would like to listen to him, and I said ‘Why not?’. So I organized a conference on science policy where people from all spheres, both the political people and the policy people, the administrative and the scientists came together at the National Research Council of Thailand, and that was the first main introduction for me into the area of science policy. People asking why Thailand had so little in terms of structures to support science, so that really paved the way for a group to be formed; I was part of that group to try to from the Ministry of Science and Technology, and it’s like a miracle. People thought that it would never be possible, but then in the end the Ministry was passed as a law. We got the Ministry of Science and Technology, and I was induced into working for the Ministry. I was asked to be the director of biotechnology, and then that was the decision. Narrow path or the broad path. At the time I said, ‘Let me do my science first’. So we invited someone else who was more senior to become the director, so I could concentrate on my scientific work. But then I never left the area of policy, it just sort of drew m into all sorts of things. Indeed, I became the director of biotechnology later on, and the we started to think of big things, like having a national agency for science and technology. This was also in part due to the grant from the United States – USAID -, a loan to the Thai government for science research, and we sort of melted the USAID project together with the Thai attempts to broaden the structure for support. That was how the Science and Technology Development was born around 1992, and I was the first director- now it’s called president – of the National Science and Technology Development Agency. I could go on from there to build science and not just only for my own narrow interest in chemistry and biochemistry, but across all areas. Not only biotechnology, but also material science, electronics and computers, and various areas. Nerina: How was your experience and what kind of challenges did you encounter? Yongyuth: So that gave me an idea to write a book called The Sparks from the Spirit. Nerina: Sparks from the Spirit. What is it about? Yongyuth: In Sparks from the Spirit, the spirit is the spirit of science that I’m talking about and I think everyone has, right from childhood, but maybe we lose that spirit as we grow old because there are other distractions. But for other people – for scientists and for inventors and so on -, that spirit is never gone, it’s always with them. They’re like the core of an onion, so they can help to bring about technologies and innovations, and then the people from that outside can work together to lead to what is called development in very broad areas. For example, the Green Revolution of the 1960’s; that is an example of development that came from science of agriculture, form the science of biology, but also from various areas. From broad areas in agriculture, in farming, in politics and various things that help to bring about water resource management and so on. It helped to bring about the agriculture, the Green Revolution of the 1960’s, but that was not sustainable. Even though the Green Revolution was big, it was not sustainable, because it was too resource-intensive, so it required a lot of water and well-educated farmers and so on; also, it ignores another green factor, and that is the environmental factor. Son now, there is a kind of Evergreen development, where you take all this things that you forgot to take into account in the 60’s, now bring them together and hopefully this will go toward sustainable development. This is a part of the sustainable development movement that we’re having right now that the UN is really calling for, and we hope to achieve by 2030. There are seventeen goals of sustainable development. I looked at these seventeen goals and I found that they all really have science as a big component, so I put this in Sparks from the Spirit. The spirit produces sparks that will go on, hopefully, to sustainable development. Nerina: What is the role of the scientist here? What does it mean to be a scientist? Yongyuth: Well, I think a scientist is not only useful in the sense that he can work on his narrow area – drug development or cancer -, but a scientist is also useful to the society as someone who appreciates the power knowledge; not only knowledge in his or her own area, but knowledge in general, and have the curiosity to go on to something new. That is really the essence of science: the curiosity and the wonder and the exploration, that’s in the nature and the spirit of humans, so I think a scientist can tell the society in general to keep these characters in you and don’t lose them as you grow up. Nerina: In your book you wrote also about the fire inside us, right? Yongyuth: We all have fires within us. Sometimes that fire drives you to your carreer, like a pianist who has a fire of performance, and she can go on to that stage. That fire drives her to something really great in her career and to the world, but in order to grow that fire, you really need to try very hard. It’s not easy to learn your trade very well, and for an artist, you need to practice very well, and not only just practice mechanically, but practice in terms of how you generate something new, something that is different from others, and yet recognizable. It can be out of this world, but it’s recognizable, even though it comes in a new form and new interpretation. I think science is like that, also. We have the fire of discovery inside us; we always want to know, want to ask questions about this and about that, why not this, why not that, so that’s the fire within us, and if we manage this fire well and don’t quench it before time, I think we can go on to something that is really good. I’m so sad when, in Thai society, many people, many mothers or fathers will tell their kids ‘Don’t ask too much! ’; you know? I scold you if you ask too many questions. For me, let them ask the questions. Of course, they may bother you a little bit; some questions are nonsense and so on, but we have to be patient we our new generation, and let them really goad their fires. Each one should be able to grow his or her own fires, so that it can really burn brightly and it can give out the sparks that we’ll enjoy later on. Yongyuth: I think that it will not be radically different from what we’re having now, but I hope that this sustainable development movement will help make a better society, not only in terms of material’s well-being, but in terms of happiness, because in the last chapter of my book I think that society is not just aiming for sustainable development; in a way, sustainable is a little bit defensive, because it means that you get something and you want it to continue. In the last chapter of my book, I ask what is beyond sustainability. Because what we need really is a happy society, and not only sustainable, but thriving and always going on to better things, so it is not stable, but going on, improving itself, so I hope that the society that we have in the future need not be materially rich, but it’s a society where people live together happily as a family, as an individual, as a group, as a city, as a country, and as the whole world. I also look forward to the time when humans will go out of this world to other worlds. We are going to Mars already in 2030, and maybe some other worlds beyond Mars, but one thing that is important is that we must not leave this world in shambles, you know? As junk, and then we go on to find some other place. So we must take care of this world and have a sustainable society, or something that is beyond sustainability, here before we go elsewhere. Nerina: What are the challenges for Thailand’s development, in your opinion? Yongyuth: I could see that Thailand needs to change from just being an agrarian society to becoming more internationally involved and have a broader area of products and services, and not just agriculture and raw materials. I think the path is clear, that science and technology have to play a bigger role so that we can become more industrialized and also go into de digital society and become an “advanced” country. There was no doubt science would play a big role, but then, how do you do it? Because there were so few scientists, technology and so few people who appreciate and understand science. I thought the way to do it was to talk to people; both the people who are running the country and the normal people, the students, the young people, the new generation, so we are all together in the sense that we can see that science is very important for the development of our country. So, we cannot say we’ll go into trade or we’ll go into something that other people are doing well without science. We cannot do that. I think I have some success, but it’s still a hard job, because it’s not very easy to convince people that there is a difference between science and imported technology. Many people say ‘Oh, we don’t need to do basic science. We’ll just import the technology, import the materials, and then we can fabricate. ’; little do they know that in order to do that and be competitive, you have to have the underlying science, you have to have the knowledge in order to know what to import, what kind of things or knowledge or products to import and how would you integrate it into products, and finally, how to make the whole products yourselves. This all concerns science as the basic infrastructure, and then from science would come the technology, would come innovation, and then, what I call “development”. Of course, development can’t come from just science alone, but it needs things like economic, business, design, and so on. It’s a bigger world, but science has a big role in it, and then if we do things correctly, we’ll have sustainable development, and not just fleeting development, nor just like a flash in the pan and then it’s gone. I think Thailand is like a teenager growing up, so right now it’s a time of confusion. Sometimes you want to go back to the olds way, sometimes you want new things, and economically, we are right in the middle between developing country and developed country. Like with a teenager growing up, there will be a lot of turbulence, but in the end, but since we have survived and thrived for so long, I’m very confident that we will have a great society, but we are struggling to have one right now. Nerina: What were you like as a teenager? Did you have a dream? Yongyuth: I had many dreams. I still have dreams. I had a dream that I would become a very good musician. One day a friend said ‘Hey, let’s go and practice violin’, so I went with two of my friends for one year, but it was too late, I was at the last year of my school. I did learn something to play, when no one was home and no one was hearing, but that really is a dream unfulfilled. I also have dream of literature and drama that I would like to follow very much. Here my dream is a bit fulfilled, because I found a wife that’s a dramatist, so she kind of fulfills one part of my life. She’s form the art side, I’m from the science side, so we can live together, with some conflicts now and then, of course, but everyone has that. I still have dreams. Maybe if I could start life all over again, what profession would I choose, what dreams would I follow? In the end, I sort of fell on science again; probably another type of science and just chemistry and molecular biology, because I know a lot of it already. Maybe some other type of science, or maybe economics. Probably economics. Yongyuth: Because it tells you about the human conditions, it tells you about human wants and how do we go about to satisfy those wants, and how do we live with other people, because there is always limited resources; how do you share those resources, and how do you develop those resources? So, economics is an interesting subject. I refused to study it in my childhood because my uncle was such a big economist and I thought ‘Oh, I will never match him’, so I didn’t do this. There was even a scholarship for me; my uncle said I could sit at the scholarship exam, but I didn’t. I chose science. Nerina: Is there somebody who inspired or inspires you in a special way? Yongyuth: Well, I was just saying my uncle. My uncle was the longest serving governor of the Bank of Thailand, Dr. Puey Ungpakorn, and he really was responsible for the change of politics, as well, because he was the one who took up the call of democracy during a dictatorship and so on. I talked about him in the introduction to my book, and said he was a leading light for me. Other heroes for me are Professor Paul Boyer, who was my mentor in University of California Los Angeles. He really started off my research career, and of course, my mother. My father died when I was very young, and my mother had very little education, and yet she brought up four kids – in fact five; she adopted one more. Five kids, with very little education, nut she was reading all the time. She was reading her books, and she managed to bring up five kids going to very good schools, just by being a tailor; she was so famous because she made such good dresses for very good prices. So these are my heroes; my mother, my uncle, my teacher. Another teacher was Professor *23:14, foreign name, couldn’t find it*, who induced me into the world of science when I was just going on to University. I was a medical student, and he told me ‘You’re not suited for medicine, you’re more suited for science’, and I believed him. Nerina: Sometimes we take the right path because of a teacher, but what is life about, in your opinion? Yongyuth: I ask myself all the time. Sometimes it seems meaningless, you know? Although in Buddhism life is about going on from one to the next, to the next, to the next, until you reach Nirvana, the end of life as we now it. But for me, although I am a Buddhist nominally, I think my own life will just disappear, just like when I dream. When I start to dream, it’s like a life starting. But when I wake up, the dream is gone, so that life is gone. So I think that when I die, my dream is over; it will disappear, I guess. Maybe it’s a pessimistic way of looking at things, but if there’s a good thing, it is that for the people who are still dreaming, part of what I did will be a legacy for them to go on later. But I will be finished. Nerina: And where does your great passion come from? Yongyuth: I often talk about passion. I think we need, it really enriches your life. It’s like a motor that drives you; you cannot go on without some kind of passion. I don’t know where the passion came from, but I think it’s something that is both inside you and also given to you from the outside. I have been fortunate, perhaps by going to good schools and having a good family, so that really maintains my fire and my passion. I liked reading so much when I was young, so that gave me the fuel to go on with various things. I’m passionate about science in general, not just chemistry. I’m passionate about it because it’s something that allows to go into all sorts of areas without fear; science gives you confidence to explore everything, and just science, but everything at all. That is the main source of my passion; it’s really the science that drives me. But as I said at the beginning, not just science, because this is just one area of human activity, and if you concentrate only in science, you can achieve something, but you will not be able to see the bigger world, and that’s a pity. Nerina: And thank you for listening, thank you for watching and thank you for sharing. Keep wondering, and see you next time again. Bye and ciao!